NDDC honcho Ross Currier stopped by my corner office at GBM last week to bug inform me about the Taste of Northfield coming up this week on Thursday. 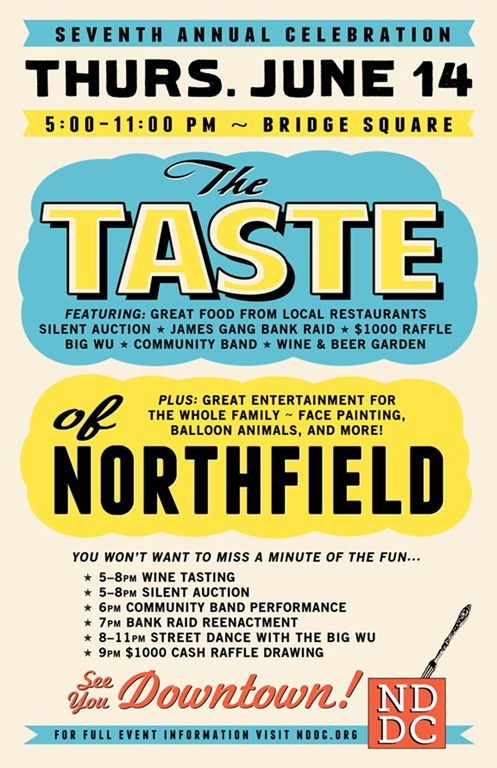 See the NDDC’s Taste of Northfield page for all the details. The year was 1967. Gasoline was 33 cents a gallon. The Monkees’ “I’m a Believer” and The Doors’ “Light My Fire” were at the top of the Billboard charts. It was that year, too, that Marc Reigel and his popular band, the Night Crawlers, played their final gig at Carleton College in Northfield. 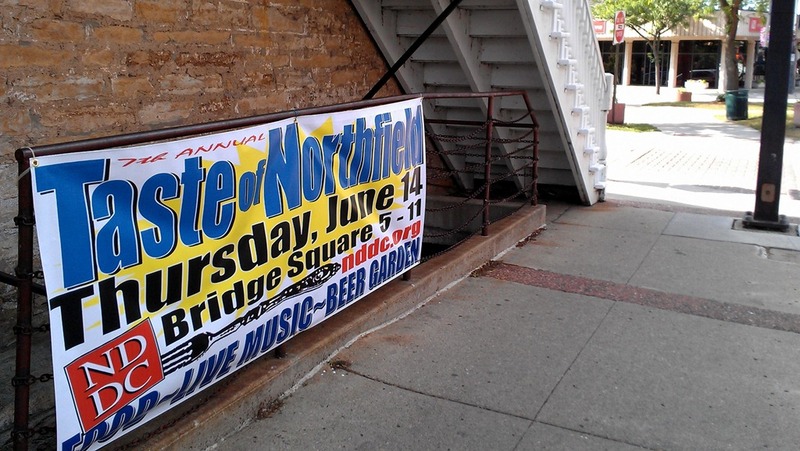 Reigel, now of Columbus, Ohio, will reprise the band’s last fling on Thursday during the Taste of Northfield. The seventh annual event, held from 5 to 11 p.m. at Bridge Square, will feature a wine and beer garden, a silent auction, a street dance, a reenactment of the 1876 Northfield bank raid by the James-Younger gang, and a $1,000 cash raffle drawing at 9 p.m. 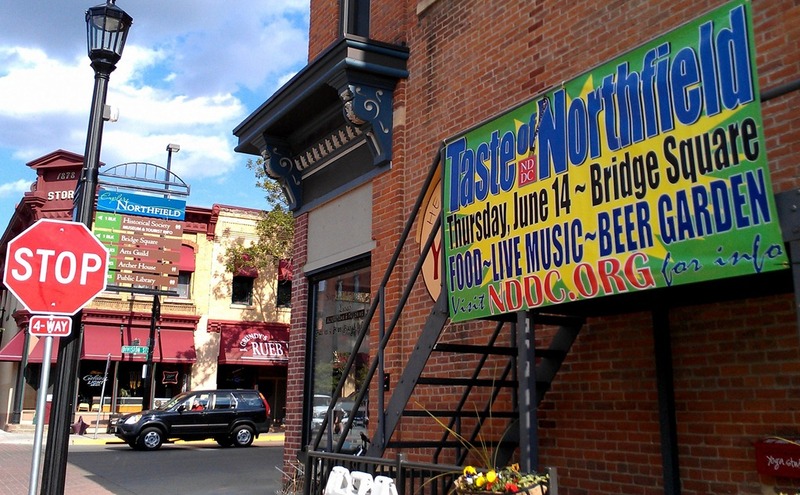 Yes, it’s the Seventh Annual Taste of Northfield, tomorrow, Thursday, June 14th, from 5:00 to 11:00 p.m., in the heart of our community…Bridge Square in downtown Northfield. 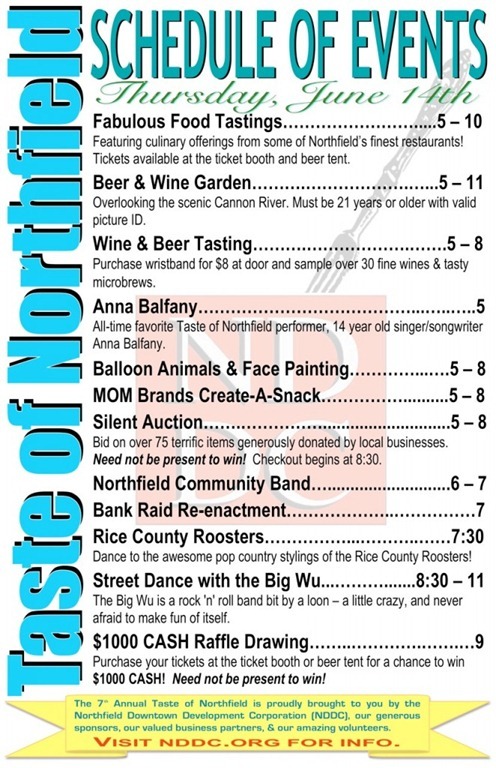 There will be great food from local restaurants, a performance by the Northfield Community Band, a James-Younger Gang Bank Raid Re-enactment, a performance by the Rice County Roosters, a street dance featuring the Big Wu, and, always a favorite, the Taste’s wine and beer garden on the bridge. There’s fun for the whole family, with a silent auction, a special raffle, face painting and balloon animals, Mom Brands’ Create-a-Snack, and probably some things that I’m forgetting. 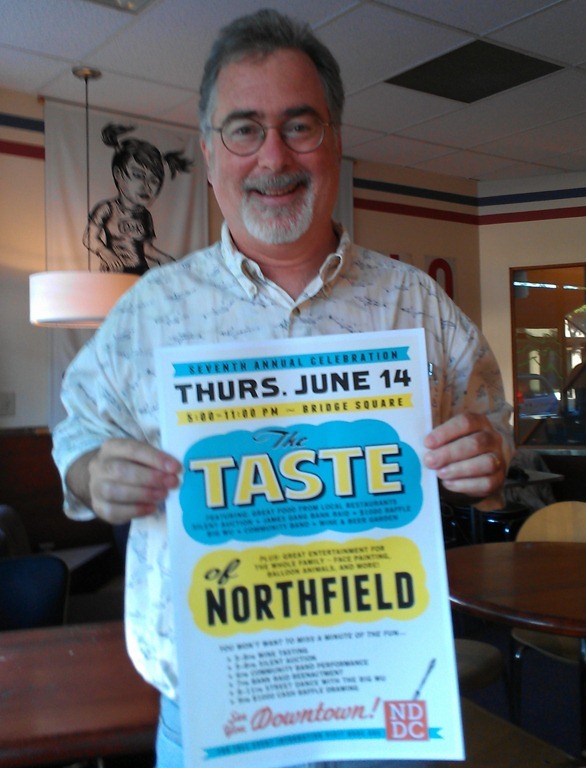 That’s the Taste of Northfield, Thursday, June 14th, from 5:00 to 11:00 p.m. in downtown Northfield.